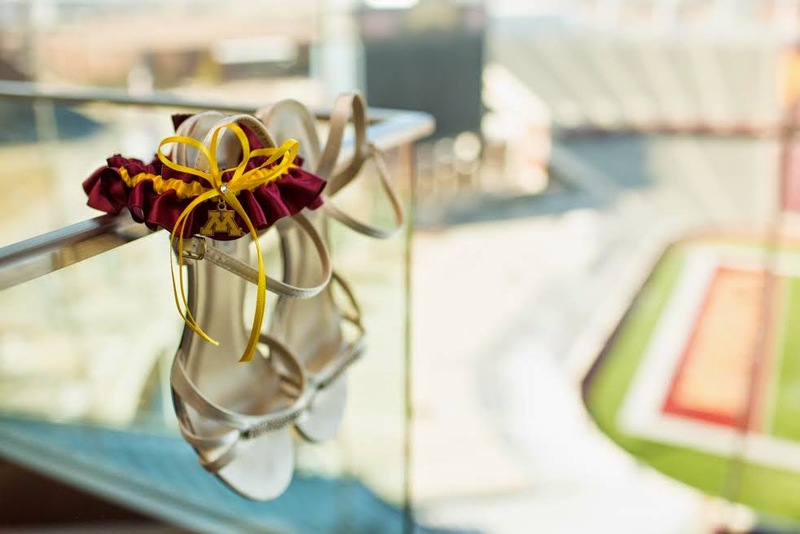 Bride Angela recently wed University of Minnesota alum Andy, and the Golden Gophers garter set she selected was the perfect accessory for their big day! 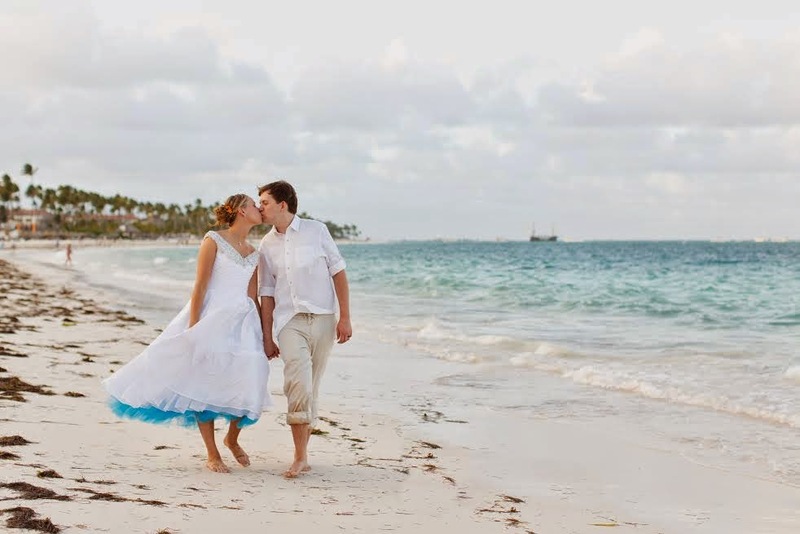 The couple, who love Gopher football, had a destination wedding in the Dominican Republic, but had a reception back home at TCF Bank Stadium, which is where the Gopher football team plays. I just love the shots photographers Scott and Jen Elder captured! All ready to go! Don't you just love the blue on Angela's dress?! 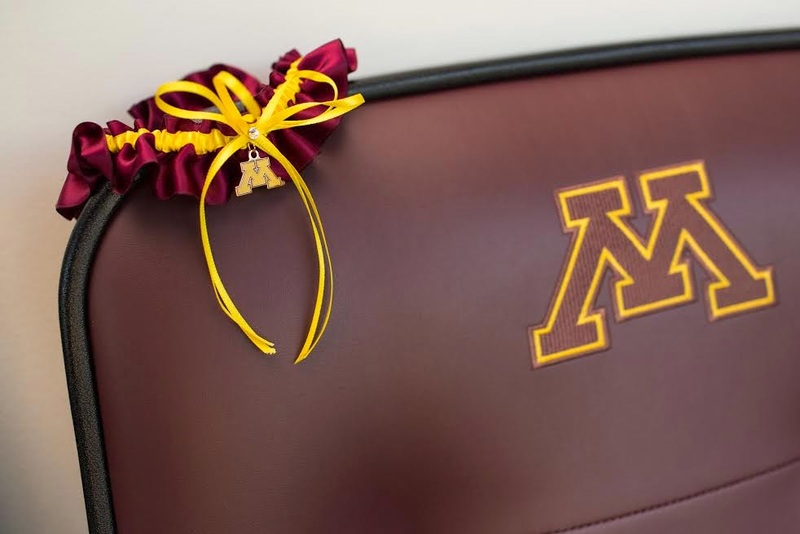 You can find my Golden Gophers garters here, as well as a collection of other collegiate wedding garters and garter sets! Don't see the school you'd like? Contact me today about a custom order!